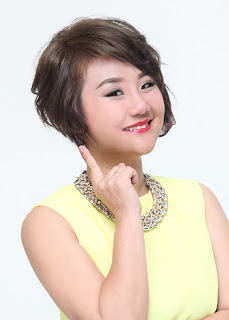 Wendy Pua | Malaysia Chinese Lifestyle Blogger: Do You Know - Your Tooth need a Polish too! Did you polish your car, scrub your body & face? Yes ??!! Do you know you need to polish you tooth as well? Today i am going to tell you why & how to polish your teeth! Why you need a pearly white teeth ? They brighten up your smile and appearance and are a sign of good dental health & beauty. Sadly with many food we eat and drinks we drink everyday like Coffee & Tea (Hands-Up Me, Coffee Addict!!) can cause surface stains on teeth that cannot be easily removed by brushing and flossing alone. Smoking & drinking red wine also cause teeth to become discoloured. How you going to polish your teeth ? The new Pearl Drops Professional Intensice White tooth polish works through a 4D whitening system - it cleans, whitens, protects and shines. It can be used safelt every day to polishing away stains and plaque and restoring the whiteness to teeth. It contains Perlite, the same whitenig ingredient used by dentists to help remove and prevent stains caused by coffee,tea,smoking & red wine. Perlite is a naturally occuring siliceous rock that is striking for its white color after expanding under high heat. Pearl Drops Professional Intensice White was almost as gentle as brushing with just water! the price is wow! haha! @Emily, the price can reveal back your white teeth, it is worth of price too! @Sherry, Maybe it takes longer time to whiten and brush it more frequent. Yes, I do agree with you that because of the many foods and drinks our teeth get affected. It is our responsibility to take care of our teeth. As we eat different types of food, so there are chances of getting stains on teeth. With polishing the stains on teeth can be removed easily. My uncle has recently taken Havana therapy laser teeth whitening services as he has stains on teeth because he used to smoke cigarettes. Now, he is not a smoker any more. With polishing and scaling you can reduce the risk of having various diseases in your mouth and you can have healthy mouth. With polishing teeth become shiny and more beautiful. What is necessary is to take tooth whitening treatment from a professional dentist. When people look at your teeth or your smile, they are expecting to see a nice white set. White teeth are important for people and are a requirement to make a good first impression. People that may have stained teeth tend to have many problems in society such as socially or even professionally.